The game that defines pinball to many of us. 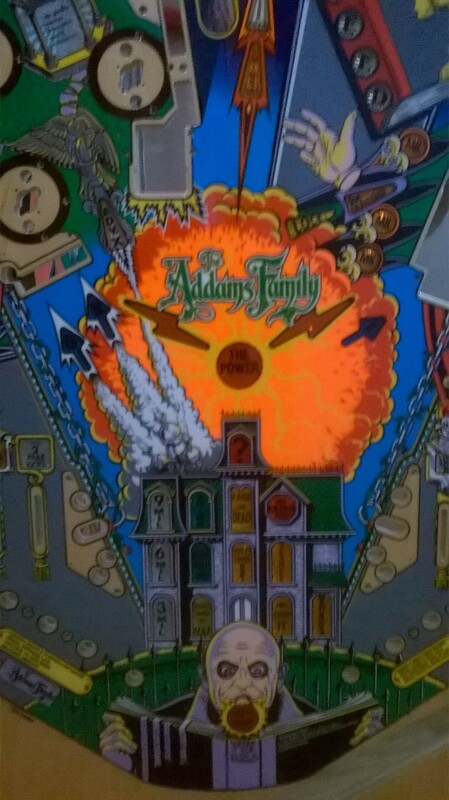 The Addams Family remains the best selling pinball machine of all time for a lot of reasons. In the last year, we have seen reproductions playfields for TAF released from multiple companies. 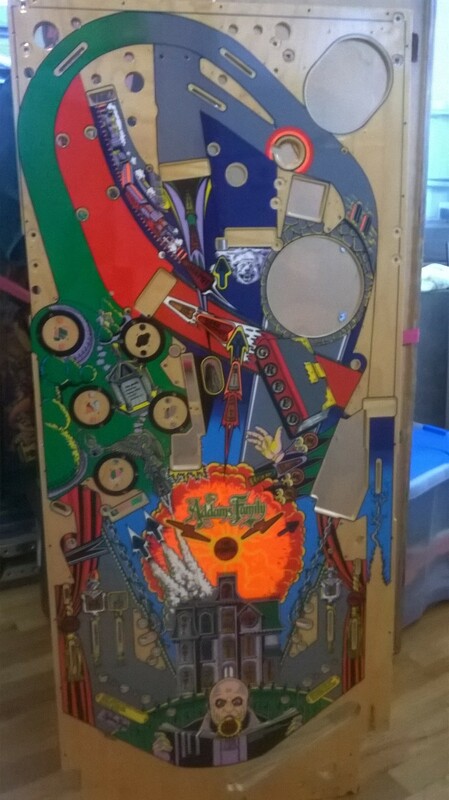 This particular playfield is a CPR Silver, so if you aren’t a perfectionist, but still want your game to look damn good then this is the way to go. Save a few $$$, make a game beautiful, and play the hell out of it. In all honesty, once it is in the game and being played 99.99% of people will never know what grade CPR gave the thing, so scoop this up for $875 before someone else does.